My first instinct when I saw the video was that its nothing more than some whiz kid on Final Cut Pro hacking up a viral video. However, watching the video, you can’t help but wonder and imagine if it’s something that might be real. Could it be that UFO’s would be zipping through the air like that, and then one random UFO would stop to hover in a clear opening in the sky? 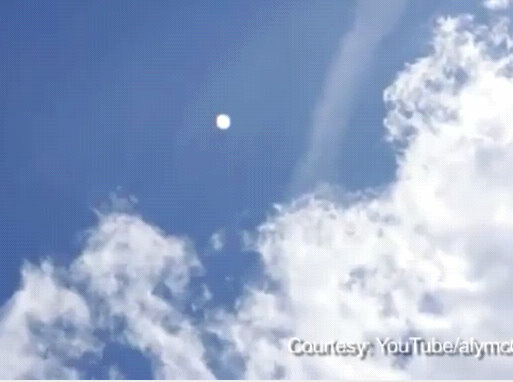 And it seems like the UFO was in just the right position for capturing it on video. Or perhaps the timing and position of the UFO was all coincidental and these videos are real… what do you think?